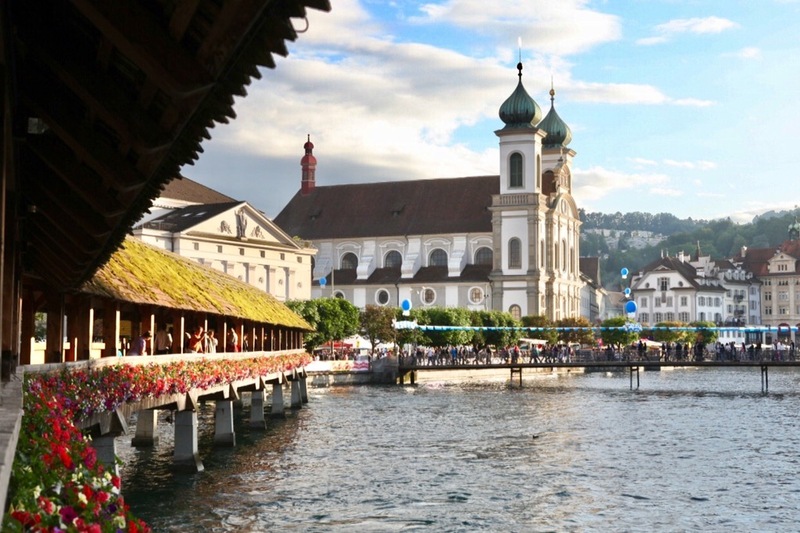 A city very much a part of any Grand Tour of Europe worth its weight in gold since the 19th century, Lucerne sets the bar high for other small and charming Swiss destinations. A tradition originally embarked on beginning in the late 1600s by the European nobility, the wealthy, or those less endowed but could find generous sponsors, a Grand Tour of Europe was meant to round out a gentleman’s (and chaperoned lady’s) education. It exposed the privileged youth to culture, the arts, and to the ways of Europe’s polite society, all of which should help prepare them for whatever roles they were expected to fill when they returned home. High on the list of destinations involved the older, much more established cultures of Italy, France, Germany, Belgium, and the Netherlands. In many people’s minds, Switzerland suggests efficiency, cleanliness, and being on time. Important qualities in a service provider, surely. But it doesn’t sound very exciting for a country one might like to visit, does it? Hence, this is where I think Lucerne has found a sweet spot. I mean, a charming town is always nice and all. But after a while, charm can only take you so far until you begin to wonder if there’s anything more. 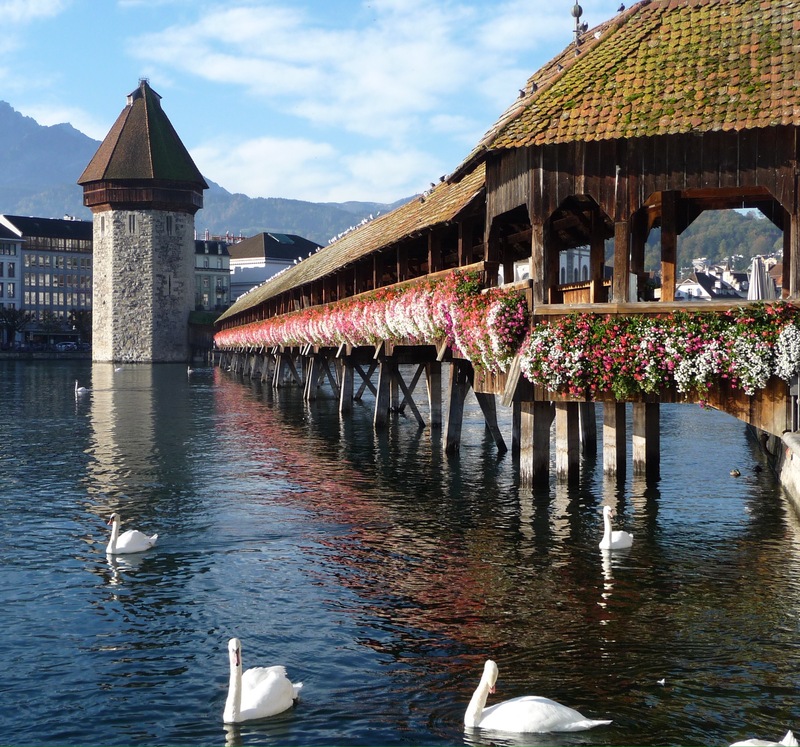 Set right smack in the middle of the Swiss Alpine region, Lucerne is perfect for a weekend visit. It possesses what I think to be a great combination of being nicely-sized (neither too big nor too small), having enough stuff to do both indoors and outdoors, a picturesque and historic Alstadt or Old Town that’s easily accessible by public transport, and adequate in the area of commercial pursuits (a.k.a. shopping and eating). Read on and you’ll see what I mean. If you had time for only one must-see, this would be it. The chapel bridge, or Kapellbrücke, was named after the nearby St Peter’s Chapel, which the bridge directly led to. Built sometime around the mid-1360s, it’s one of the oldest covered wooden pedestrian bridges in the world. But what else makes this bridge special? For one, there are the paintings that you see hanging from the ceiling as you walk the length of the bridge. 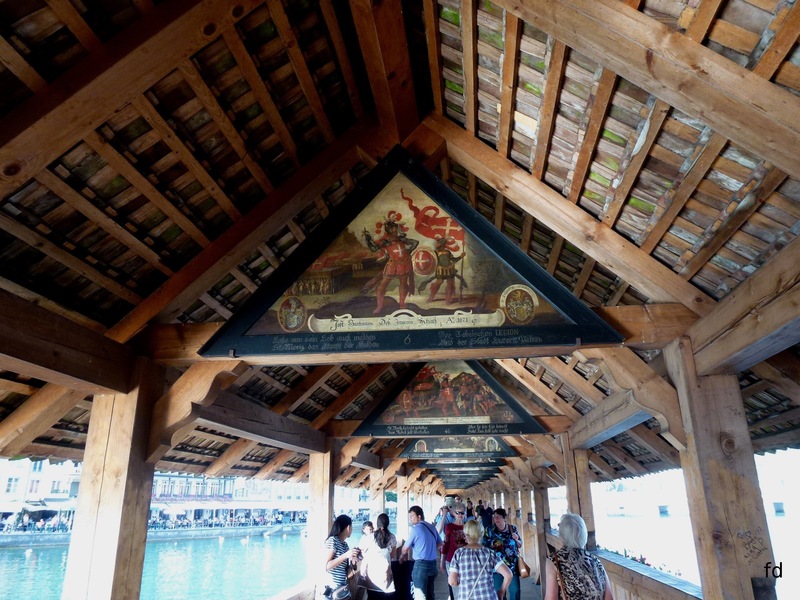 Painted in the 17th century by local painter, Hans Heinrich Wägmann, these paintings depict the history of Lucerne as well as that of its patron saints, St Leodegar and St Maurice. Sadly, a fire in 1993 destroyed parts of the bridge, including 2/3 of the original 147 paintings, out of which only about 30 have been successfully restored. But luckily, I got to see all the originals on my visit right before the fire. What sets this bridge apart for me, however, is its own unique story. What was once part of a medieval fortification built to keep invaders away has evolved into this charming, welcoming bridge that not only connects the Old Town with the relatively newer part of the city, it also brings people from all over the world deep into the core of the very city it was built to protect. The first and largest Baroque church north of the Swiss Alps, this, too, was the first-ever church that took my breath away. I entered having had no expectations. Frankly, I just needed a place to sit. Then as I began to look around me, the image of the church’s bright and what I could only describe as marshmallow-y interiors – perhaps meant to lend the effect of being up among the clouds in heaven – so overwhelmed me, it practically got me down on my knees! So used to seeing its darker, somber-looking Gothic counterparts, the Jesuitenkirche was a breath of fresh air. 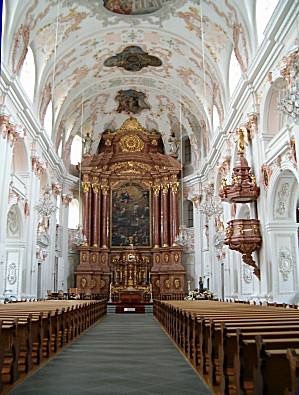 And since then, I’ve always had this thing for Baroque churches, like the one in Munich. Built during the Counter-Reformation movement, if the idea was to get people back into the Catholic faith, whoever designed this church certainly knew what he was doing. 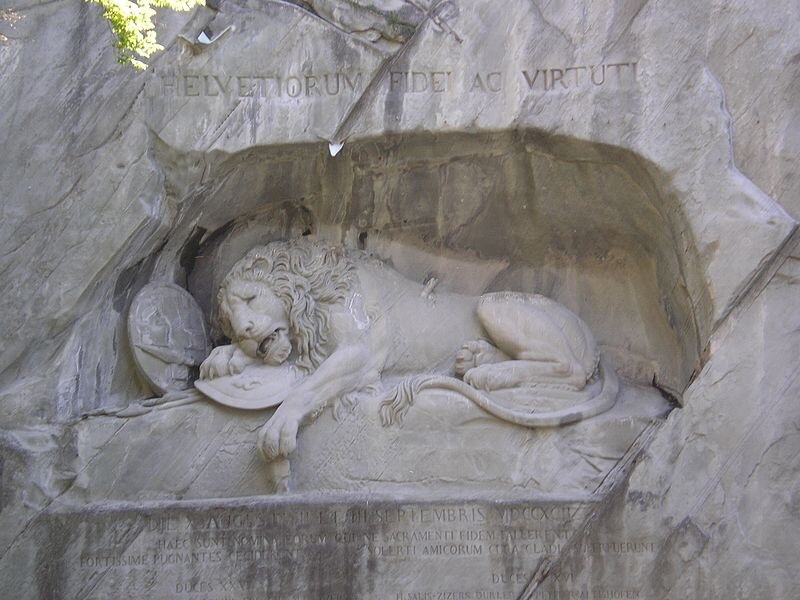 This touching image of a dying lion carved out of a sandstone wall is a memorial to the loyalty and bravery of the Swiss mercenary army, who died in Paris while serving under Louis XVI during the French Revolution. 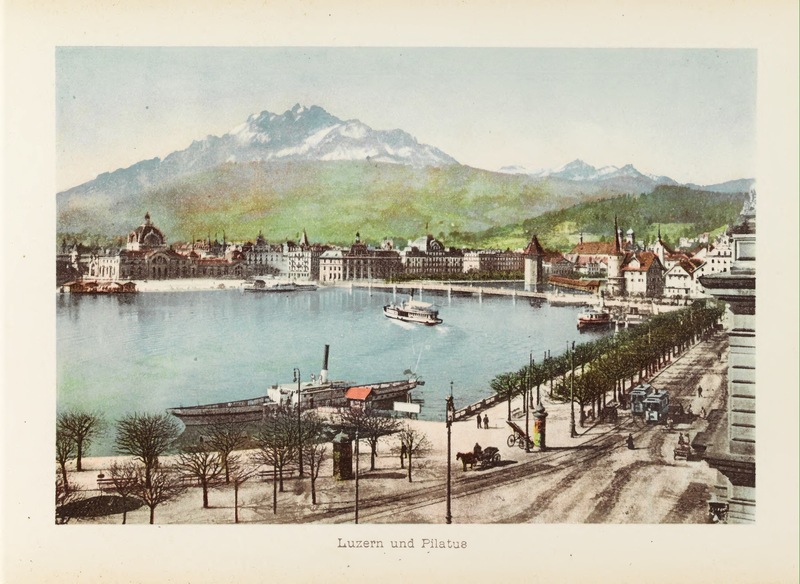 It had been tradition – and big business – for members of central Switzerland’s noble families to serve as mercenary soldiers to foreign powers like the kings of France and the dukes of Italy. Switzerland’s 1848 Constitution, however, declared this type of servitude a criminal offense and the practice has since stopped. Save for the Swiss Army that now continues to protect the Pope at the Vatican. This was where I bought my first Victorinox Swiss Army knife, in the less common colour – black. 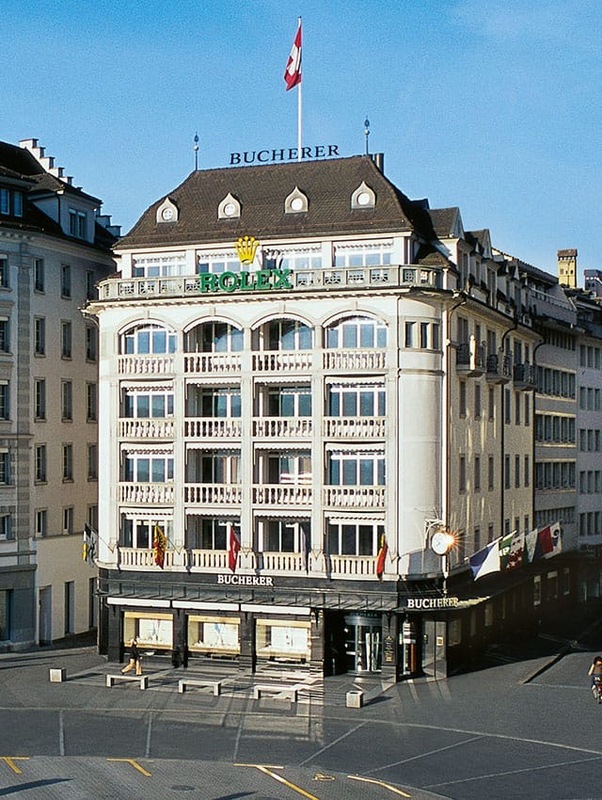 Established in 1888 by watchmaker Carl Friedrich Bucherer, this jewellery and watch shop is a Lucerne institution. Getting a taste of genuine Swiss quality at Lucerne’s Bucherer can be an event in itself. You can’t miss it as it’s just a few meters away from the Chapel Bridge and, good or bad, there are the telltale signs of tour buses parked outside. But don’t be put off by this. Entering the doors of this Lucerne establishment is an experience in itself. And though I did not buy a watch, I was no less amazed by the fantastic display of the most important Swiss watch brands imaginable. Aside from its very own Carl F Bucherer timepieces, it carries such names as IWC, Panerai, Vacheron Constantin, Audemars Piguet, Baume & Mercier, Tag Heuer, to name a few. Bucherer’s biggest claim, however, is catapulting to fame what’s probably the most sought-after aspirational watch brand in the world, Rolex. And just like any major shopping expedition, it pays to do your homework before buying. Bucherer has been known to work its magic on the all-too-willing shopper! 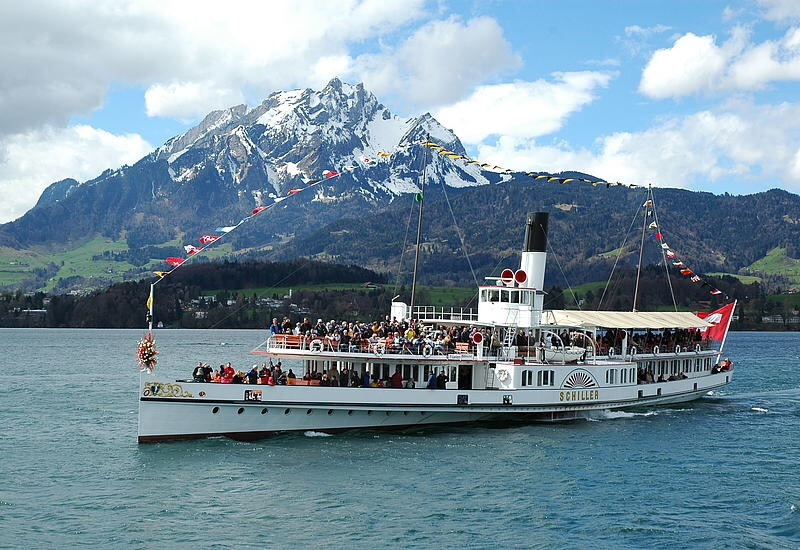 There are several Alpine excursions that one can take out of Lucerne, such as trips to the snowcapped mountains of Pilatus, Rigi and Titlis – Pilatus being the closest to the city and can be accessed in combination with a lovely boat ride on Lake Lucerne, and Titlis a little further through the town of Engelberg, the highest peak among the three and famed for its glacier cave. They’ve got both summer and winter activities down pat catering to families, couples, and adventure seekers – from hiking to climbing, concerts to fine dining. 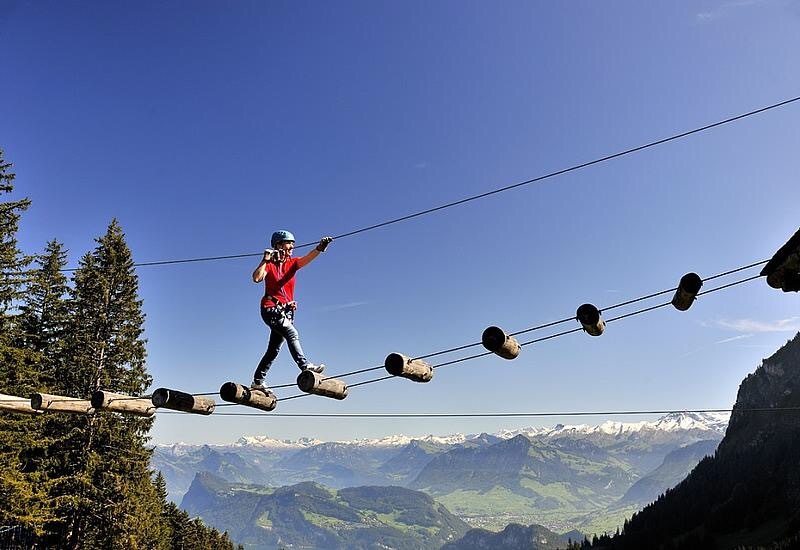 Fancy doing this on Mount Pilatus’ Rope Park? …and what of the mysterious Message in Graffiti? Well, this happened many, many years ago. Just days before I left Manila to embark on a trip, my friend F called me from Lucerne to say that he’d be back home and wouldn’t be able to catch me before I leave, but that he had left a message on a graffiti wall inside the cave tunnel on Mount Titlis. And if I had any plans of going there, maybe I should go check it out. Hmmm… a mysterious message left for me halfway across the world. What girl wouldn’t be intrigued? As luck would have it, Lucerne was part of my itinerary. 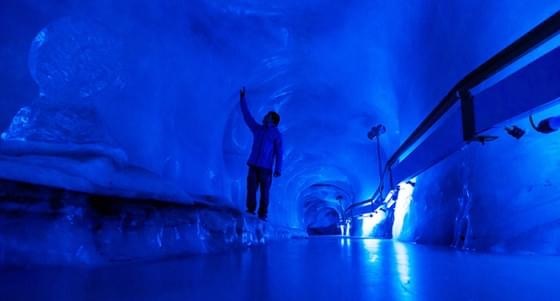 So to the said icy cave of Mount Titlis I went, found the wall that had countless messages written on it – much like a bulletin board (a practice that’s no longer done, I believe), and went in search of that mysterious pronouncement. Or was it a declaration of a certain sort I was hoping for?! But alas, I didn’t find it. Or perhaps, I simply failed to recognise it. And so I left the cave wondering. Yet curiously, I ended up forgetting to ask F what the message was when I finally returned home. Whoever said all mysteries need to be revealed anyway, right? Sometimes, the fun is in the search. And in the speculating. In the hoping. And maybe, just maybe, I’ll keep it that way. 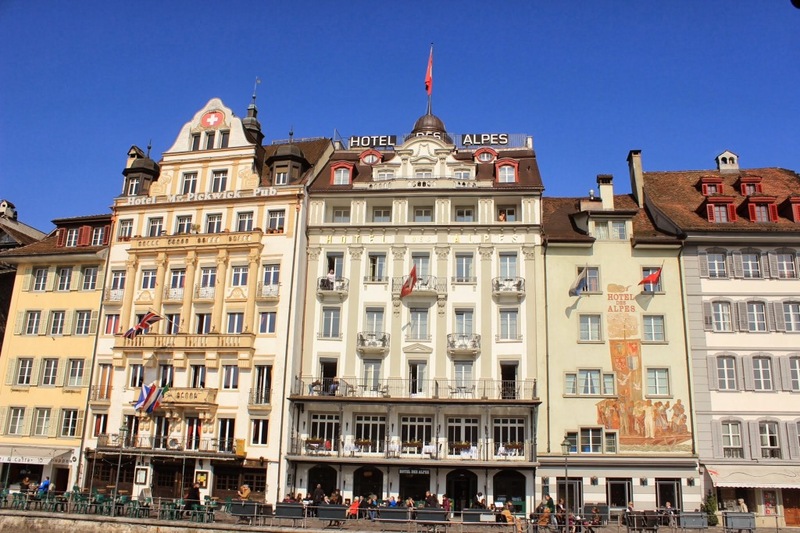 To help plan your trip to Lucerne, check out Luzern.com.